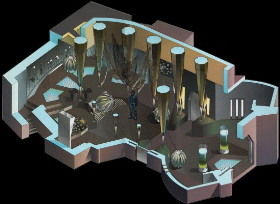 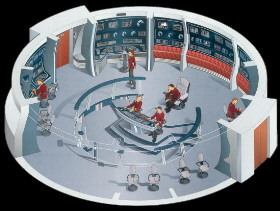 This is the Primary Command Centre for all Starships and other space craft. 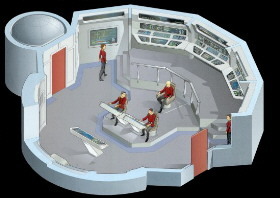 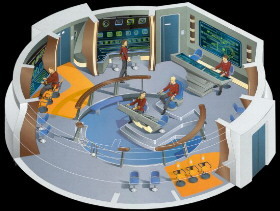 On most Federation Starships, the bridge is located on Deck 1, at the top of the Primary Hull. 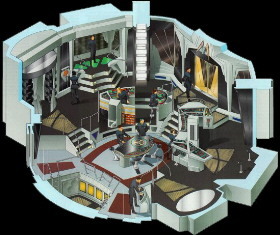 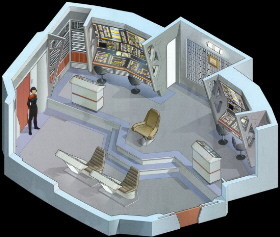 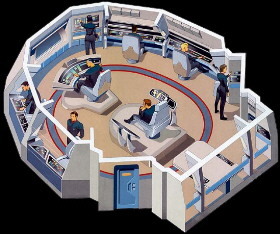 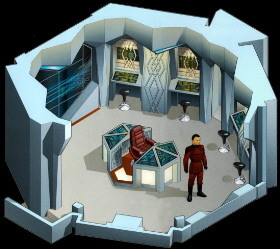 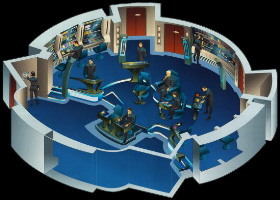 The Enterprise bridge was first designed by original Star Trek Series art director Matt Jefferies. 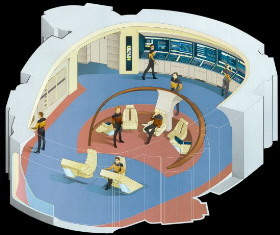 Roddenberry insisted that all railings be made of wood, rather than metal, saying "that the use of natural material would help the command centre to retain certain 'humanity". 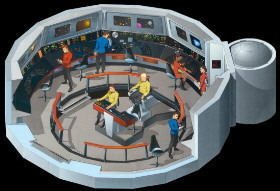 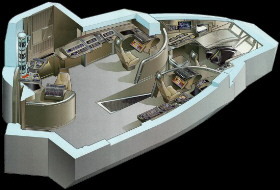 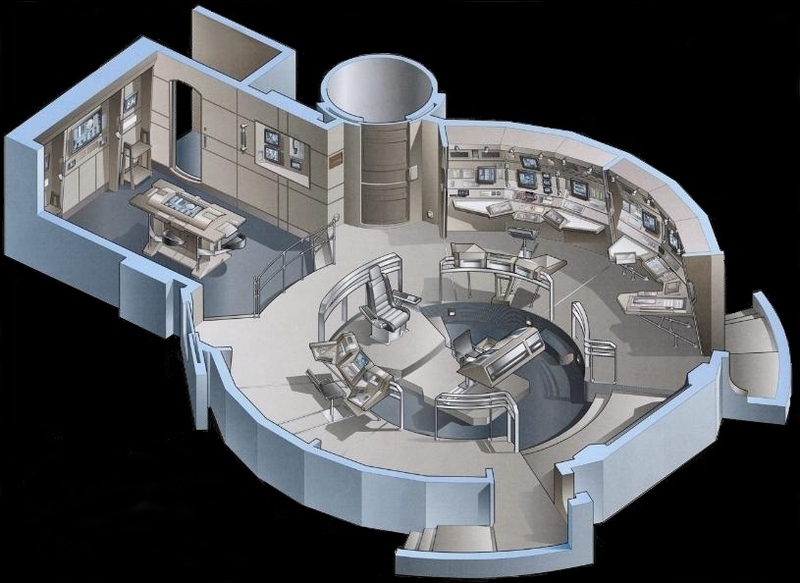 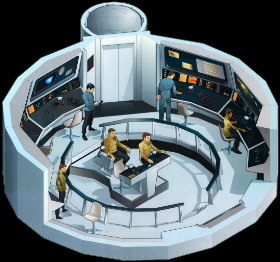 An interesting point to note is that the Enterprise bridge has been studied numerous times by various defense and aerospace organizations as a model for an efficient futuristic control room. 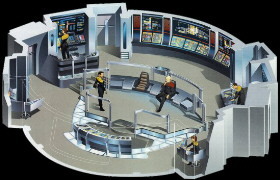 These bridge diagrams are from the Next Generation featured a beautiful curved railing that served as the ships tactical console.